Is Malta for you? There are tons of top things to do. Plan from before, read our numerous Things to see and do while on your holiday in Malta. 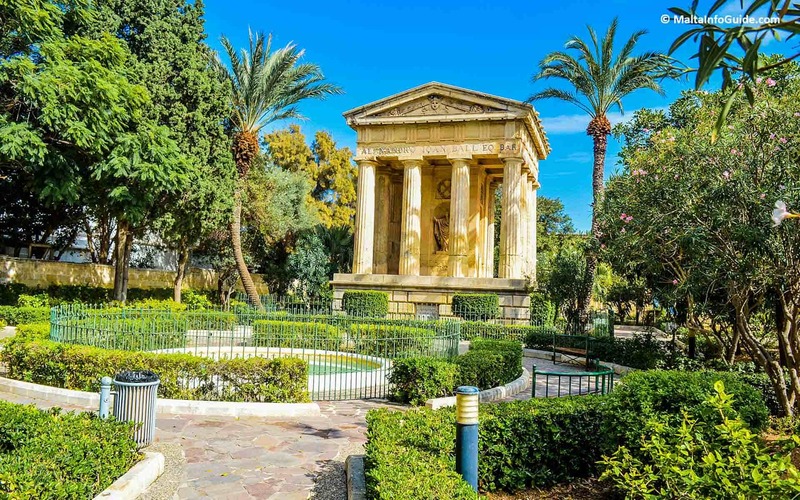 Do not miss further suggestions, summer entertainment, free festivals, fortification walks, visit the Manoel Theatre and sandy beaches - click here to read further. Lower Barrakka gardens for a lovely quiet walk overlooking the Grand Harbour on your way to The Malta Experience and Siege Memorial which are both close by. At Ta’ Qali you can see various displays to buy ornamental glass. A tour round the factory will show you how it is done. Various shops around the island sell this type of glass. 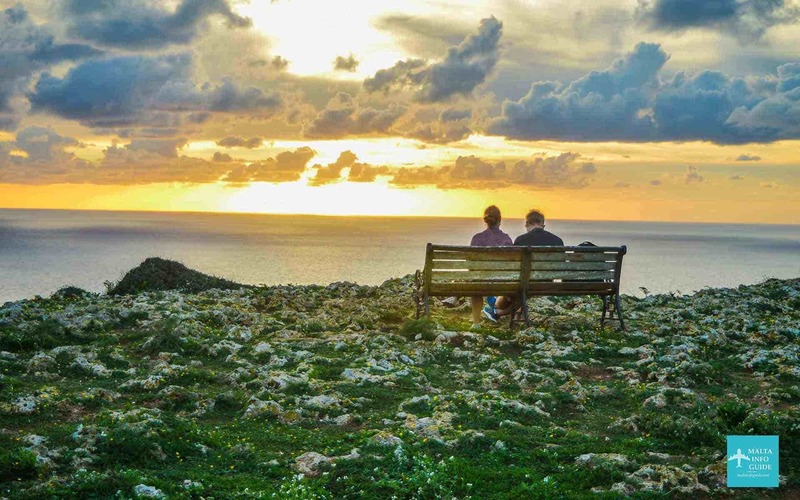 Sunset off the cliffs of Dingli. Relax in one of the restaurants cafes just across the road beside the cliff side. 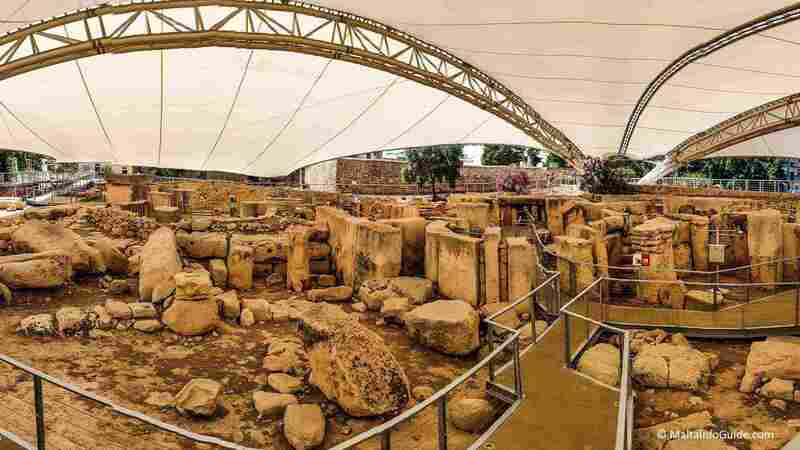 From Wied iz-Zurrieq take a walk or drive to the temples of Hagar Qim and Mnajdra temples, just a kilometer away. Walk along the luxury yachts at Vittoriosa Waterfront while you admire the numerous fortifications of Valletta and the fortifications within the Grand Harbour. Specialty of different types of fish offered at restaurants and also buying fresh fish from certain localities and Marsaxlokk. The island’s weather offers many sunny days. Sunbathing is not only between June and August. From April the weather starts getting warm. Avail yourself to enjoy the sun. Tiny Gozo is just a 20-minute ferry ride from Malta and has a population of 37,000 people. So quiet and tranquil. Taste the local fruits like water melon dullieh, peaches hawh, and grapes gheneb and figs. If you love water sports there is plenty of it in summer. Go to the beaches and rent water equipment, parachuting, canoeing, kayaking. Village feasts are part of Maltese culture. Do not miss church functions, band marches, merry making, fireworks and decorations. Foreigners call them Malta festa. Sailing in Malta is very popular and amazing adventure around the Maltese archipelago. A trip to the Blue Lagoon in Comino either from Sliema sea front (120 minutes) or from Cirkewwa Ferry boat (15 minutes). Farmer’s Market at Ta’ Qali for freshly cut vegetables and fruits. Visited also by foreigners living here. Tuesday and Saturday 7:00 to 17:00. The Valletta Waterfront, admire the luxury cruise liners and eat at one of the open air restaurants beside the sea. South of the island rocky beaches Xorb l-Ghagin, Delimara, St. Peter's Pool provide clean, blue fresh sea ideal for a quiet swim in the deep sea. Do not miss a visit to the Mosta church famous for it has the world's third highest unsupported dome. Popeye Village in Mellieha, where families can go for a full day entertainment of fun and food, together with the story of the village. Malta is popular for tourists arriving by cruises. Start a cruise holiday from here visiting various Mediterranean countries.